Minimalism is a buzzword that’s been going around, and people know it is basically a style of living. What most people don’t know that it is also being adapted to outfits, regardless if they’re living the minimalist lifestyle simply because of how it looks. So what is a minimalist look? It’s a wardrobe that ultimately emphasizes that less is more. It takes outfits to it plainest form without sacrificing style. When you go for minimalism as your aesthetic, you’ll have to say goodbye to accessories, details, and extra forms. At its most basic, minimalism is proof that simplicity really is beauty. You don’t need the extra frills and baubles to look good because wearing the minimum requirement of clothes with clean and precise lines is enough to make your outfit stand out. If you’re interested but unsure how to delve into this kind of fashion, read on below. Minimalism is about getting rid of stuff you don’t need, so instead of buying, you need to look at what’s inside your wardrobe. Do an initial look over, and quickly take out items that you don’t need anymore. You can either donate it or sell your clothes online to make a profit. A minimalist aesthetic doesn’t mean that you only have to have clothes that are black, gray or white. It’s okay to have bold colors and patterned items. It all depends on what fashion styles you’re into. It’s a good thing to remember that, if you want a minimalist wardrobe, you will have to be even more selective of the clothes you put in your wardrobe. Throw out, donate, or sell clothes that are old, ill-fitting, or don’t make you feel good. There is no one-way approach to looking for your own style in the fashion, but there are guides to help you. That is why color palettes are so important if you’re experimenting and finding your own way in this aesthetic. If you ever find yourself looking at your closet with the clothes you absolutely love but find no discernible pattern on how to wear them, go simple. By this simple means, identify color palettes you love, and find clothes that match those hues. Minimalist fashionistas love neutrals, but they also wear something bright once in a while, like a pop of color here and there. Focus on the items that you have, and keep doing it until you find what kind of style you are into. 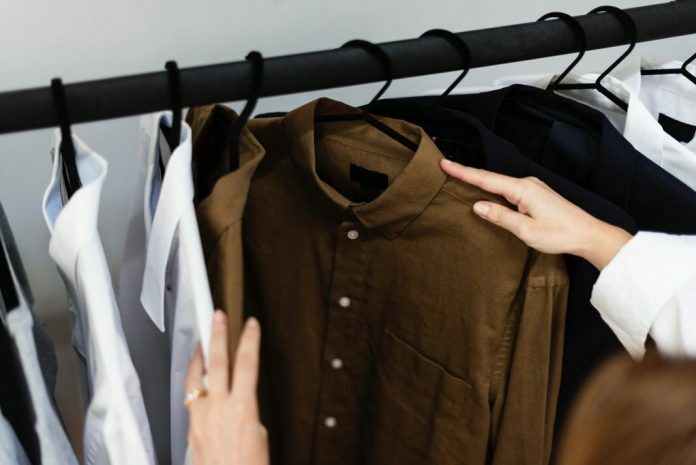 Some people who are into minimalist fashion or lifestyle are attracted to the simplicity of it, including minimizing the stress of making a decision on what to wear. That’s why it’s not a bad idea to create or stick to wardrobe formulas so you know what to wear or know what works with your existing clothes if you’re to buy something new. Known formulas include jeans, shirt, and shoes or skirt, sweater, and flats, among others. You can also change these formulas to suit your preference. Make use of pinboard apps or websites to help you visualize the outfits you may already have in your closet, and you will find that wardrobe formulas will help you make decisions faster and more efficiently. Style challenges force you to be more creative and use up the clothes you already have depending on their respective rules. There will be days when you will feel that your style has become too repetitive or fast becoming bland to your tastes and taking on a challenge will be enough to shake things up. There are different types of style challenges, including the 10×10 Challenge by Project 333, and the challenge can last from a week to a whole month. A lot of those who have joined the project found insights and say that they learned a lot about themselves and their style. There’s a reason they’re called fast fashion: they are trendy stuff that won’t last long, and you can only wear them five times at the most, and people get rid of them. There are millions of textile waste being produced each year, and most of that sits in landfills for years, and a huge contributor of that is fast fashion. If you want to live the simple lifestyle and you want to propagate quality versus quantity, then avoiding buying fast fashion is a way to go. This is a really huge problem in the fashion industry because those in it are producing a lot of items the whole year round. The trends come and go fast, and there’s a huge pressure to just buy, buy, and buy to keep up. They’re relatively cheap too, so it becomes more attractive, but if you add up the costs of how many clothes you buy in a year, you’d be surprised that you actually spend a lot. It’s better to buy good-quality clothes that you can reuse even if you think that they cost more than fast-fashion items do. Stick with what works for you. Not everyone is the same in terms of circumstance, finances, and style, so it is inevitable that there are different needs. If you want to live a minimalist lifestyle and apply it to fashion, go for it. If you want the aesthetic of the minimalist look, go for it too. What are your thoughts about the minimalist fashion? Share them below.